President Trump started off 2017 with more than $7 million in his campaign coffers, according to new Federal Election Commission filings. The majority of the donors have been small donors who continued to donate after the 2016 election, giving Trump a head start on fundraising for his 2020 re-election campaign, the Washington Post reported. Trump’s campaign committee started the year debt-free and has continued to solicit donations from supporters. His campaign had $7.6 million in the bank as of Dec. 31, but that figure has likely grown since then. Trump easily reached the $5,000 threshold that requires filing an official statement of candidacy for the next election thanks to ongoing fundraising efforts by the president’s campaign committee. 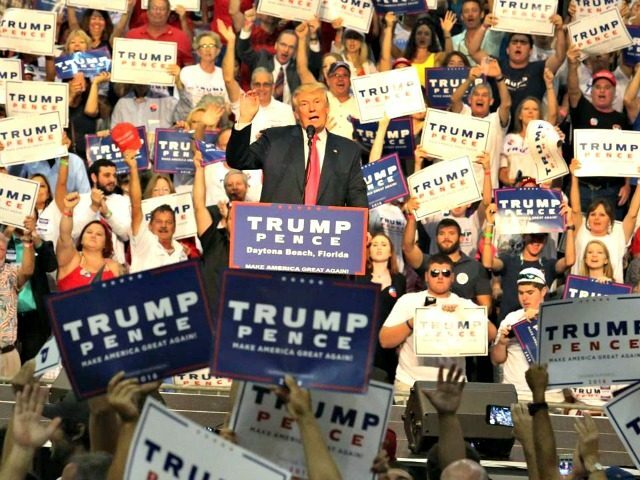 Trump’s campaign committee, the Republican National Committee, and their two joint fundraising committees collected $13.5 million between Nov. 29 and Dec. 31, a year-end surge that showed how supporters were excited about a Trump win.